Played this set @ The Skinny Bar at Open Turntables in the month of November for an #MIPNYC Workout that didn't happen. 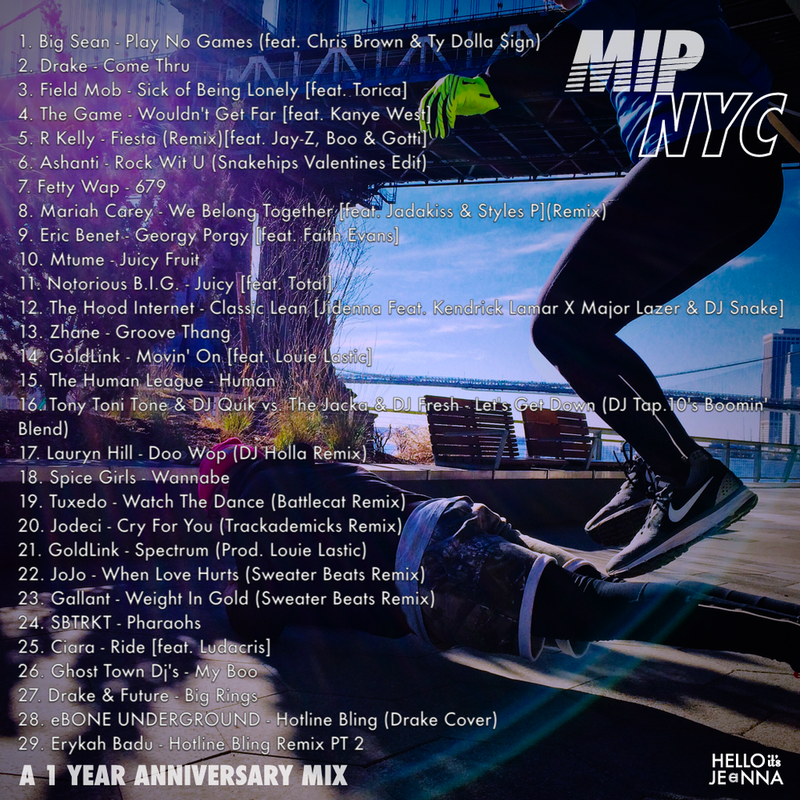 Decided to dedicate the mix for our 1 year anniversary. #MIPNYC is a chapter of the larger running / fitness collective called Mission I'm Possible that has 17 chapters nationally. #MIPNYC does weekly runs on Mondays @ 7:30pm that leave from Extra Butter in the Lower East Side. To download: right click the images below & "Save As..."